We found 64 items for your choices. 5 stars of 5Absolutely Gorgeous! The quality and fit of this gorgeous piece is of perfection. I would highly recommend purchasing. Love my corsets, they are so well made a fit wonderfully. Thank you. 5 stars of 5Fabulous fit! Love this fit! I am a DDD size and the 2XL made me look fantastic. It is longer than other items I have ordered from this site and really slimmed me down. I can't wait for my husband to see me in it. I suspect it will not be on for long. 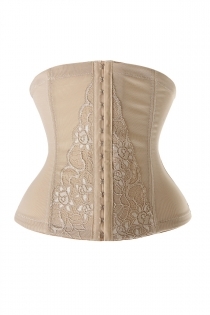 The skulls on this corset are not light pink they are tan. Would have been much better with light pink. Was disappointed for that reason. Other than that it was good. Its a nice corset but when I purchased it the description said came with skirt now it says without and I have no skirt. I am very dissapointed.